There are times when you might get tired of having a clogged sink or waterlogged basement and not interested in bothering your plumber anymore. Going for the portable sump pump can be the only available option any homeowner can make. The portable sump pumps are made to help solve flooding issues that occur more frequently. These sump pumps are equipped with strong motors that make it possible to remove larger volumes of water within the shortest period. The portable pumps are also light and compact hence, one can easily install them anywhere. 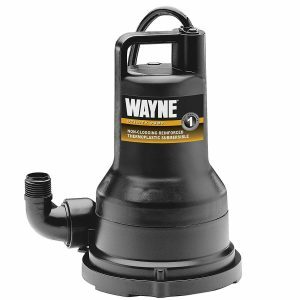 You can drain flooded lawns, waterbeds and clogged sinks using these portable sump pumps. There are some which are submersible making installation easier. Having a portable sump pump around will help you save a lot since you will not have to hire a plumber more often. 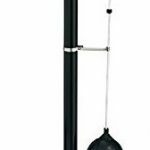 Below is a list of the best portable sump pumps you need to consider when shopping for one. 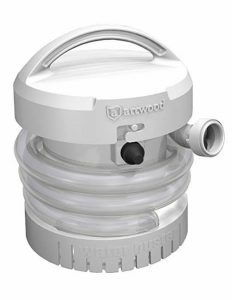 Attwood WaterBuster refers to a portable pump that can be used to remove excess water from places like boats, marines, fish aquarium water pools and their covers. Using this sump pump is quite easy and safe for all the people since it does not use electrical wires or cords. It will take one a maximum of three alkaline D batteries to function well and can work for up to five hours. This pump is compatible with small crafts and can easily be adjusted under the boats seat. It can clean the water boat up to seven times in a single power charge. It is a completely portable pump and can operate up to five hours when on a three size D alkaline batteries. This pump is in a position of lifting water to a maximum height of 40 inches and capable of pumping up to two hundred gallons of water in an hour. It is made of high impact, convenient and safe plastic. It is suitable for removing water from dinghies, kayaks peddle boats and inflatable. It inserts direct force into the water pushing it via pipes making it possible for it to remove water to a longer distance. This sump pump is over rated when compared to other types of portable sump pumps. Its main problem is leaking gasket which cannot be solved easily since this pump is always under the water. Are you looking for an easy and simple way to help you remove water somewhere? 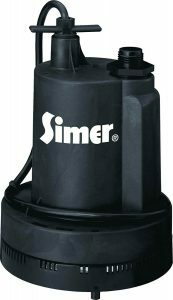 Then the Simer 2305-04 Geyser II 1/4 HP Submersible Utility Pump is the best tool you can use. This pump is always ready to go right out of the box meaning all one has to do is plug it in and let it work by itself. This pump is self priming and capable of operating all by it until all water is gone. However, one needs to monitor it to ensure it is shut off after it can drain all the water. This pump is ideal for most utility applications and it will offer excellent results no matter what your requirements are. Has a longer 25’ power cord that makes it possible to be used far from power outlet. Its cord might overheat at times. The Little Giant 6-CIA 12393 1/3 HP Automatic Sump Pump will never disappoint thanks to its well known brand quality assurance. It is considered to be one of the best sump pumps the firm has so far manufactured. This sump pump is in a position of transferring large quantities of clear effluent and groundwater. It has a powerful 1/3 HP motor which is apt for augmented and prolonged use and it can also surprise the some of the most doubtful customers with its great strength and durability. It is best preferable for domiciliary and industrial use. It comprises of diaphragm pressure switch which starts off the pump at 7-10 inches of groundwater point. Its motor runs at 1/3 horse power which ensures there is enough energy to transport water. Its permanently lubricated engine and parts ensures lesser friction and helps in preventing eventual breakdown from taking place. It is fully automatic and submersible guaranteeing worry free performance and execution. It is affordable hence its purchase will bring a better value for your money. It has a long shelf life and usage. Need for extra sump pumps since its motor can only handle minor or small downpours and storms. It lack manual switch making it difficult to test during dry days. It lacks filter or screen that assists in protecting the body from excess damage. Known for great quality and durability, this multipurpose pump has been assembled in the United States using quality materials for durability and reliability. One can use this pump on a daily basis around their home. Some of the usual applications consist of draining the aquariums and water beds, removal of water from construction sites or basement floors. This pump has a ½ horsepower. It consists of a thermoplastic reinforced glass for the impeller, housing and volute that prevents rust. 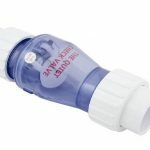 It also consists of ¾ inch discharge adapter that is adjustable and connects with much ease to the garden hoses. This pump has an easy to access handle that offers complete portability. This portable pump can be submerged into water when being used. It is capable of pumping dirty water containing ½ inch solids. It is capable of removing wat6er down from 1/8 inch from the ground. It is corrosion resistant and is fully sealed with thermoplastic construction. This sump pump contains a manual switch type that will require the pump to be manually operated. This pump is known to die after a couple of uses. It is not suitable for hot tub draining since the pump will create oil leakage issues. 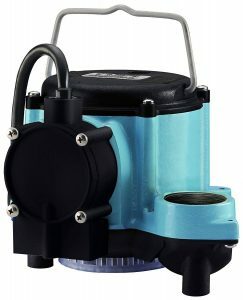 Superior Pump 92330 1/3 HP Thermoplastic Sump Pump refers to a pump built from thermoplastic that is corrosion resistant. It consists of alterable float switch that will automatically help turn the pump on and off. This pump also contains an excellent motor that will ensure great endurance levels and longer life. Hence, the Superior Pump 92330 1/3 HP is in a position to fulfill all the requirements that any user might be looking for. This pump is considered to be a perfect choice for customers interested in products at affordable price. This pump is made from thermoplastic material that is corrosion resistance making it able to oppose corrosion attack in all the environments regardless of the amount of pressure, temperature and condition of operation. It consists of a durable motor which is equally powerful. Its 1/3 horsepower motor is in a position of providing great amount of force. The 4.1 amp motor is in a position to lift up to 40 gallons of water within a short period of time. The maneuverability and size of this pump makes it easy to use and store. It has both the automatic on and off feature. It has a lower price compared to the other pumps. Its pump can easily spin to the side due to its lightweight feature. Tasked with removing accumulated water that is collected in a sump basin and sending the water through the wastewater system, the portable sump pumps are considered to be an important tool for any homeowner. By installing a sump pump, you will keep unwanted water out and reduce other emergencies risks like mildew, mold and fire. Listed are some of the main benefits associated with using is sump pump. The portable pumps are known to be great and the safest option for any maintenance near the home since all the dangerous pump components are hidden underwater. This will help prevent kids from tampering with them which can be dangerous for all the pumps found above the ground. When using the sump pumps, it is advisable that you keep an eye on the kids and pets to ensure they are safe and do not get into any form of danger. The primary job of a sump pump is to collect water around your property and help remove it using the wastewater and plumbing system. Any sump pump that is functioning well can effectively deal with water build up starting from tiny accumulations to larger flooding. Huge rains can easily start flooding around your home without sump pumps. This can cause up to 1 foot flooding in a few hours. Such flooding is common in climates that have heavy rainfall and can cause several damages to your house construction and properties. However, by using a sump pump, flooding issues are prevented. Since the sump pumps are specifically designed to work under water, they always come complete with longer insulated power cords. This basically means that one can plug it in even when the power point is located some few distances from the place of work. It sounds strange that a system capable of keeping out from your house is also capable of stopping fire. Installation of portable sump pumps is another essential benefit of fire safety. Majority of homeowners are not aware that flooding is among electrical fire causes in any home. Whenever water seeps inside the electrical system, it causes short circuit of appliances in your home such as televisions, heating systems, washers and dryers. Buildup of water means dampness that is the breeding ground for mildew and mold. Ongoing damp conditions inside the basement are a result of water which has been pooled around the foundation. The water can damage your home and can lead to mildew and mold growth that can most likely cause more damages and pose severe health risks. The portable pump is much closer to the job by nature and are capable of using less effort to have the same type of job done compared to other types of pumps. These pumps are placed in the water rather than on a dry area and should never worry of them getting wet of experiencing water damage effects. 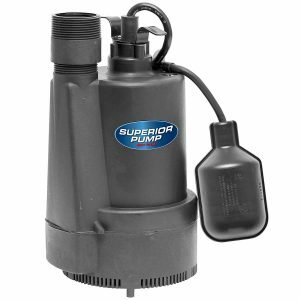 Sump pumps are available in different brands with different model range. There are brands that offer free installation while there are others that install it at a smaller range. It is important that a sump pump is installed by a professional mechanic since incorrect installation will lead to the system breaking down which might not guarantee protection against flooding. Getting an automatic sump pump will offer you a peace of mind since it will also take care of water logging when you are not around.